Join the DC Super Hero Girls in their fight against dull parties! 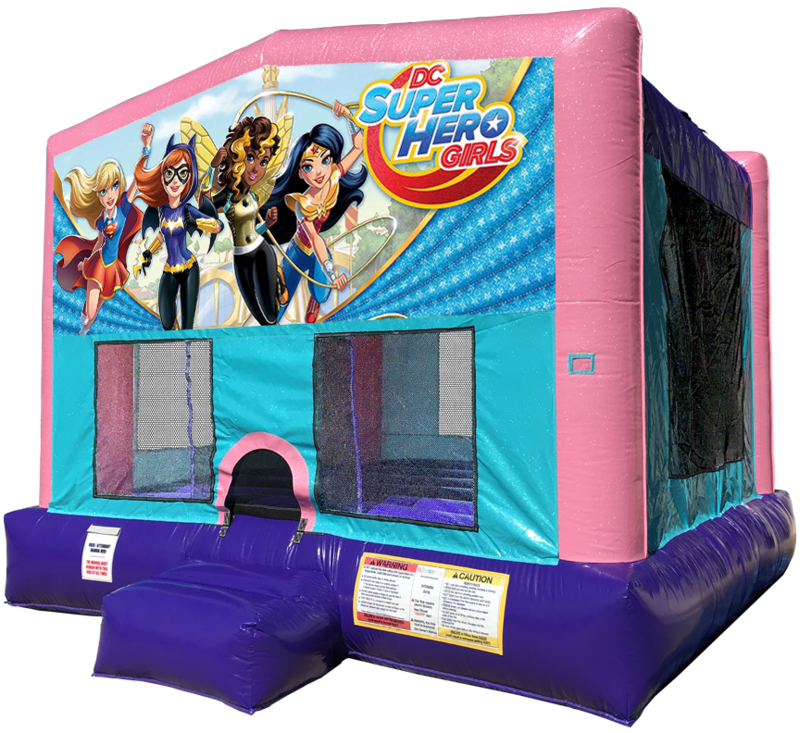 This awesome sparkling pink bouncer is sure to liven up any birthday party or kids event, and it features a safety step, knotless netted windows and many of the other latest safety options. Delivered clean and on-time, every time!